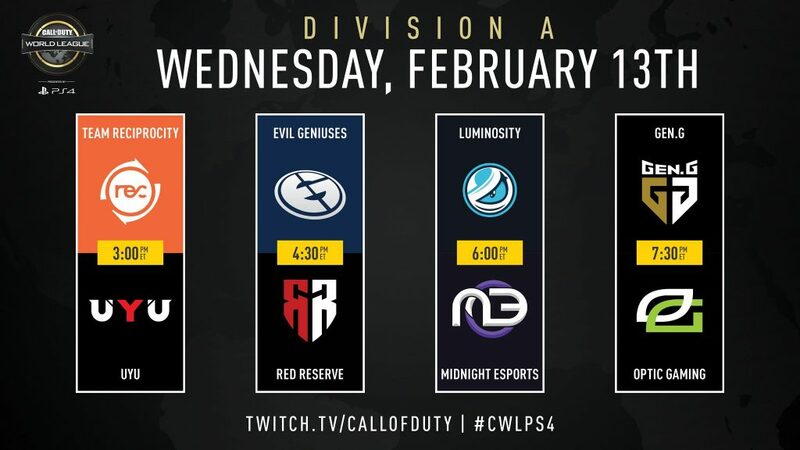 The second week of the CWL Pro League for Call of Duty: Black Ops 4 begins on Monday, February 11 and features matches weekly on Mondays through Thursdays. 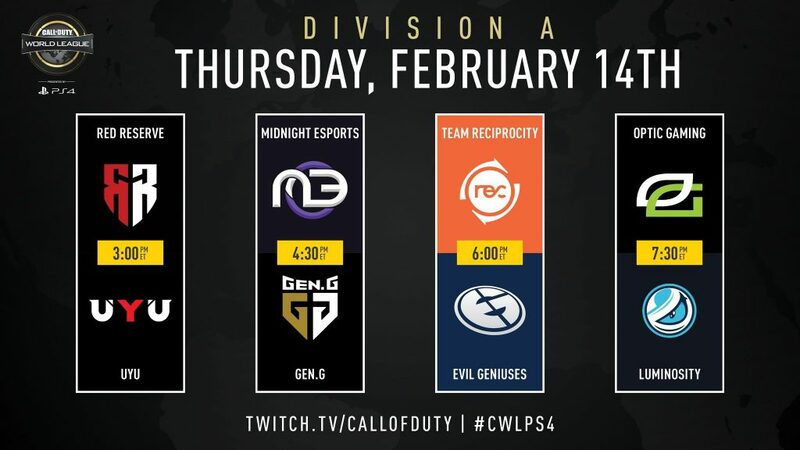 The CWL Pro League will feature 16 of the best teams in Call of Duty. The competition will span from February 4th to July 5th. The Pro League is split into two divisions, A & B. 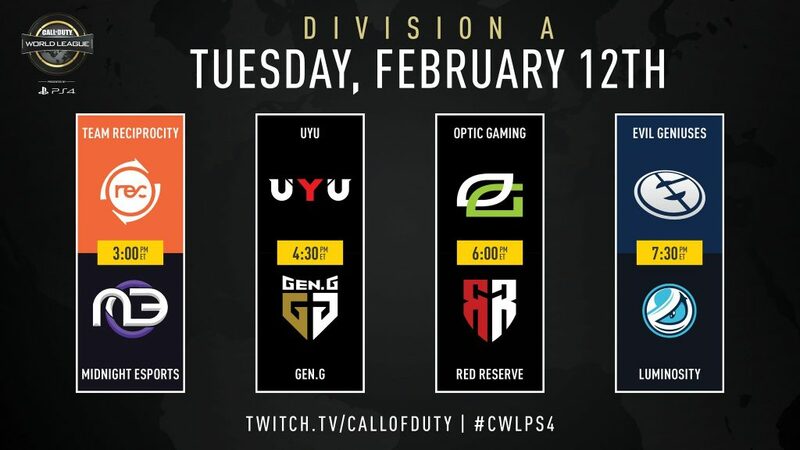 At the end of the season, the top 4 teams from each division will advance to the CWL Finals, a new event that will take place at a yet to be announced venue in July. 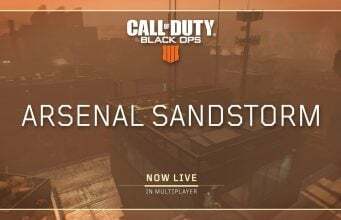 Additionally, players will earn pro points for every match. Pro point determine seeding at future events. As an extra incentive for teams to keep trying even if they can’t make the playoffs, each win will net the teams a $2,500 bonus. 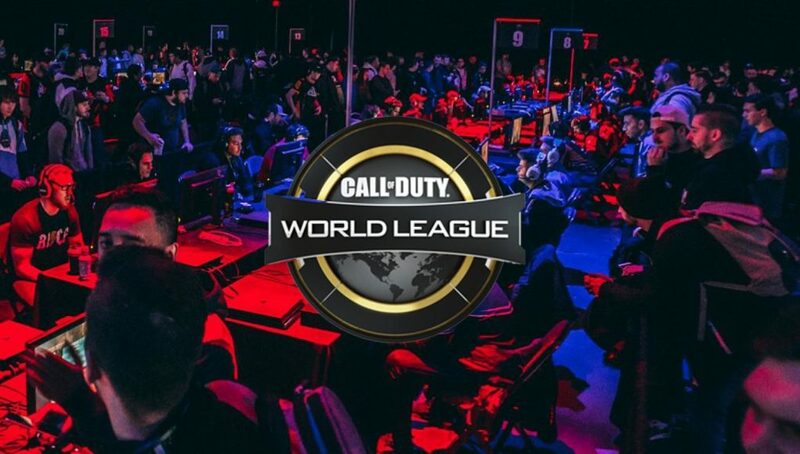 The Call of Duty World League Season will feature weekly matches as part of the Pro League for the next several months. 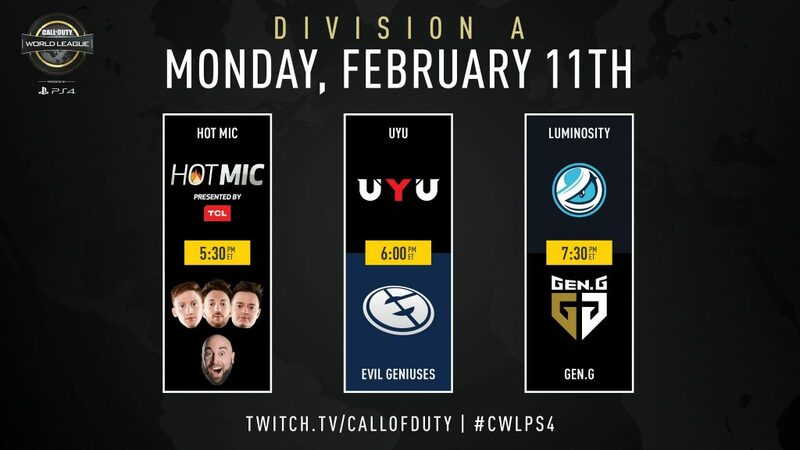 Stay tuned to charlieINTEL for the latest news on the CWL season!